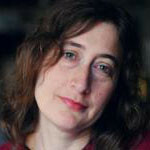 Rebecca Perl is a writer and public health advocate who works at Vital Strategies in New York City. There she guides and oversees the organization’s work at the United Nations in New York and the World Health Organization in Geneva on public health issues, including the leading causes of heart disease, cancer and lung disease. Her expertise includes tobacco control and obesity prevention. She also worked under the Bloomberg Initiative to Reduce Tobacco Use and directed this work in Russia, Europe and Africa for WLF. In this role, Rebecca advised governments and NGOs on how to develop mass education campaigns. Rebecca’s public health experience comes from her years as a science journalist. Most notably, she spent seven years covering tobacco as a health and science correspondent for National Public Radio in Washington, DC, winning the coveted Peabody Award for her investigative reporting. Rebecca also worked as a health and science reporter for the Washington Post and the Atlanta Journal-Constitution. Her work has also been featured on HBO and on “This American Life.” She taught writing and reporting at Columbia University and New York University as well. Rebecca holds an MS in Journalism from Columbia University.